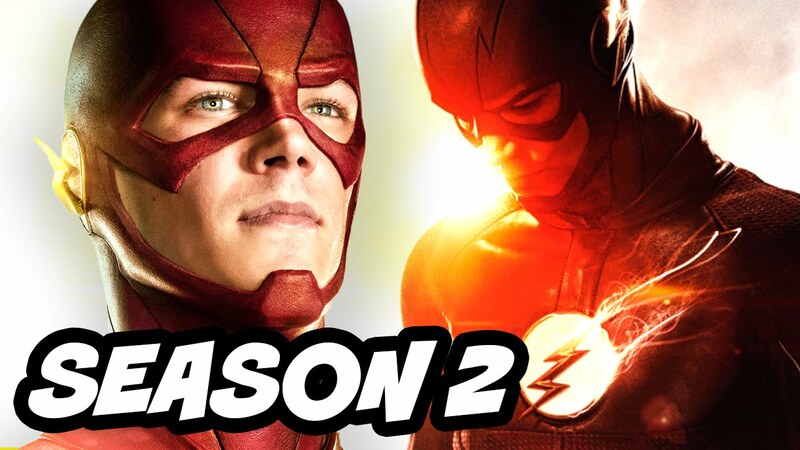 The latest trailer of Flash Season 2 teased the re-entry of Reverse Flash or Eobard Thawne into the Central city. In the last season, he was the principal villain who planned an elaborate scheme to kill Barry Allen by sucking the life out of Prof. Harrison Wells, assume his identity and move through timeline to completely eliminate the threat of Flash. He is the man in a yellow suit who lost his speed-force while attempting to kill Flash in his childhood, but instead, kill his mother Nora Allen. If Eddy Thawne of Earth-1 killed himself, that will remove the existence of Eobard Thawne from Earth-1, but there could be a dopple-ganger of Reverse Flash at Earth-2 who navigate through alternate universes and come to Earth-1 like Prof. Harrison Wells of Earth-2. It’s possible that Wells may throw Eobard Thawne under the bus by offering him in place of Barry Allen to Zoom, as he is faster than Flash and he also has a personal score to settle with him. Jay Garrick is the Flash of Earth-2 created by a particle accelerator explosion, he must be aware of Reverse Flash and could guide Team Flash on how to defeat him this time. The show-makers have dropped a hint that a certain member of STAR Labs is being put into unexpected danger by Eobard Thawne which will force Barry to travel to Earth-2 with Wells and Cisco.